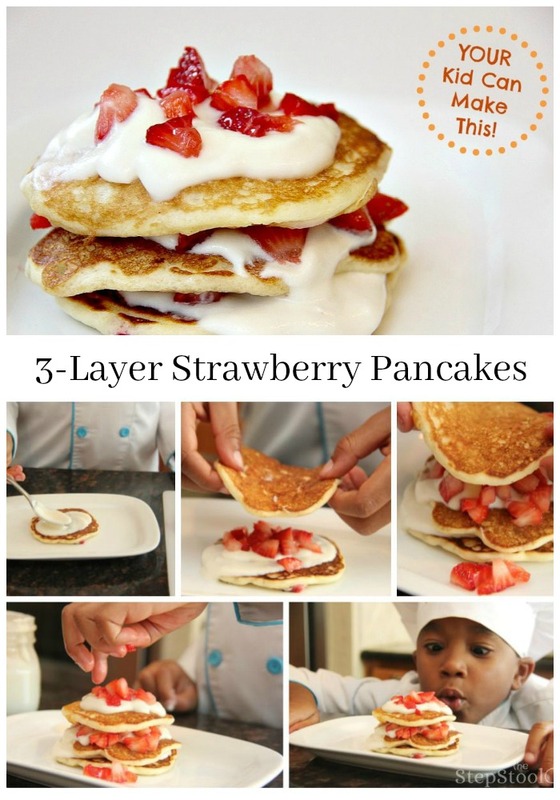 This recipe for 3-Layer Strawberry Pancakes is one of my favorites we have EVER done. And I'm confident it will be one of your favorites as well. Add all ingredients to the blender and mix on a low speed until smooth. Carefully pour the batter in a squeeze bottle or pancake pen. Squeeze small circles of batter on a non-stick griddle over medium heat. Flip over when the sides are firm and the batter on top is bubbling. Fill a jar halfway full with heavy cream, sugar and vanilla. You can store the extra batter in the squeeze bottle and the extra whipped cream in the mason jar for easy clean up.